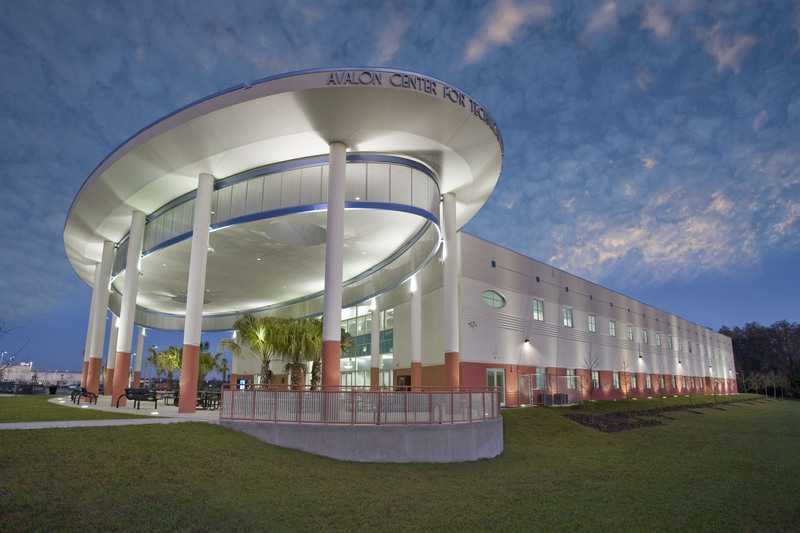 The Avalon Center for Technical Excellence is a 65,000 square foot, high-tech trade school located in the Orange County School district. 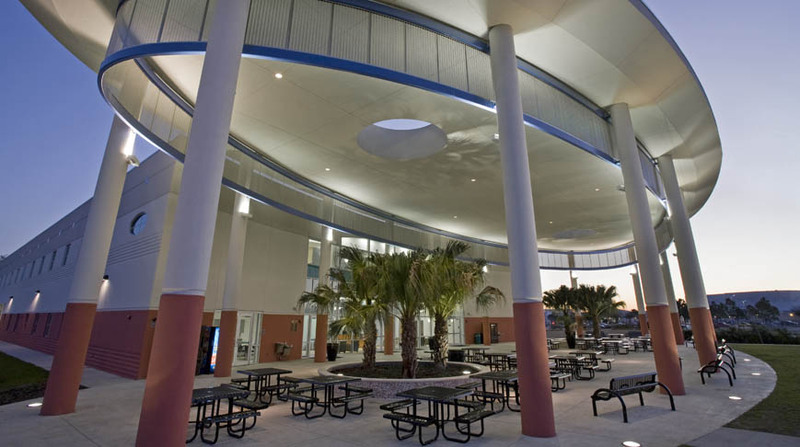 This two-story tilt-up wall structure contains classrooms, nurse stations, media centers, and science, computer, and pharmacy labs. 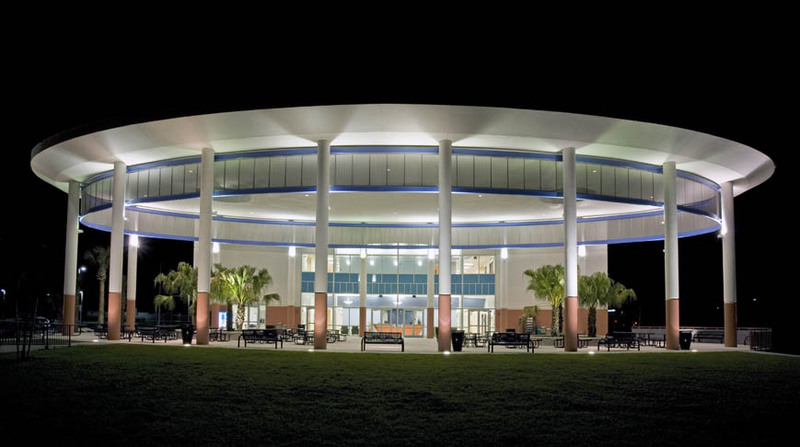 Large rectangle and oval windows in precast panels are used throughout the building. In addition, a two-story oval shaped portico covers the front courtyard. Doster overcame obstacles such as permitting and utility delays and protecting an on-site conservation easement while maintaining the rigorous seven month schedule. I would like to take this opportunity to commend your firm and, in particular, the Avalon Center for Technical Excellence project team on a job well done. The project had a very aggressive schedule and a tight budget, both of which were achieved by your firm while simultaneously providing a quality project.